Lush-Fab-Glam.com is celebrating nine fabulous years in the content creation and online influence industry. We are so ecstatic about how far we have come and how much we have grown through the years. We hope that you are as excited as we are for the website refresh and all of the amazing content that we will be sharing with you in the weeks and months ahead. It has been life changing for us planning and preparing for this new stage and we can't wait to inspire, motivate and discover with you. 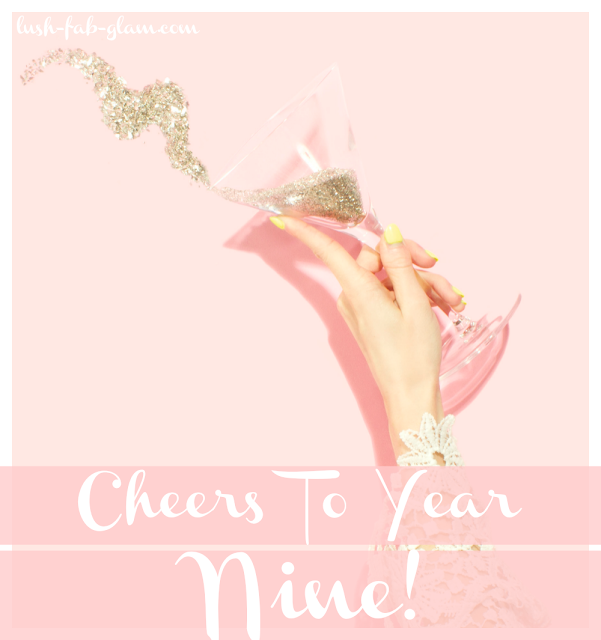 Cheers to year nine, cheers to celebrating our victories both big and small, cheers to growing together and cheers to you, our Lush Fab Glam family for being right here with us, every step of the way!